Knowledge of Codes – Whether you need wiring completed in your home renovation project, or are upgrading from knob & tube wiring, Extreme Electrical Service LLC has the knowledge to help. Building codes dictate the materials required for electrical projects of any size, as well as outlining the approved installation methods. Serving the area since 1997, Extreme Electrical Service LLC knows the ins and outs of local building codes and will take care of your project from permit application to final inspection. Expert Electricians – All wiring needs to be carefully installed, whether in outlets and appliances, heating units or phone jacks. The expert electricians at Extreme Electrical Service LLC are ready to serve your needs, with industry knowledge, experience and expertise to get the job done well the first time. Extreme Electrical Service LLC staff also handles electrical repairs of any size, correcting amateur mistakes and fixing damaged wiring and other electrical components. Professional Service – All projects completed by the and selected and carefully trained staff of Extreme Electrical Service LLC. Be confident that your new wiring will be safe and reliable for years to come by hiring Extreme Electrical Service LLC to handle the job. All projects details will be managed well, from the smallest elements to overall design. 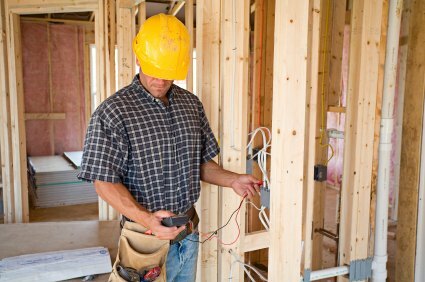 For wiring projects large and small, call Extreme Electrical Service LLC and trust in the company’s extensive knowledge, trained electricians and solid service reputation. Call (816) 548-1162 and arrange for a free estimate on your electrical wiring needs.